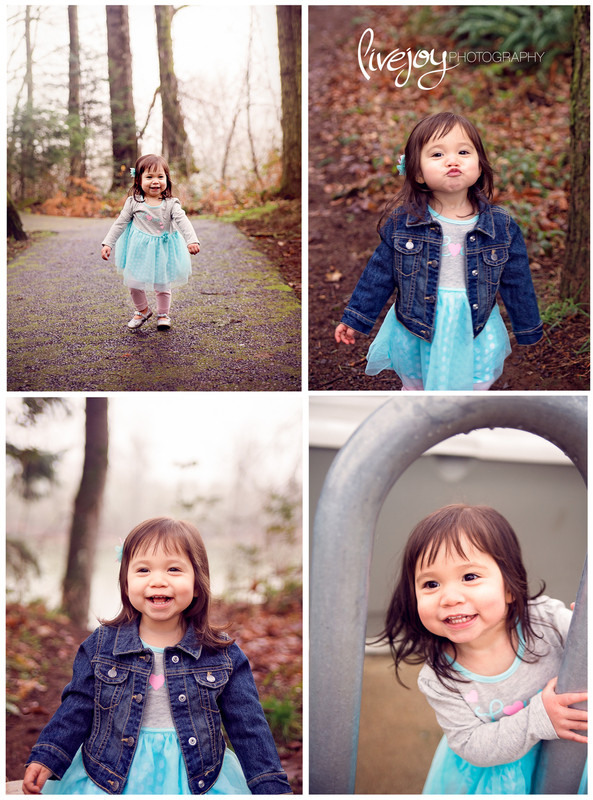 Trying to do outdoor sessions in January.. in Oregon... is always an adventure! And this session was no different! We had pouring rain right up to the session, but the rain broke and we had about an hour of just mist.. I'll take mist! Ha! This family was such a trooper and Im so glad we were able to make it happen! 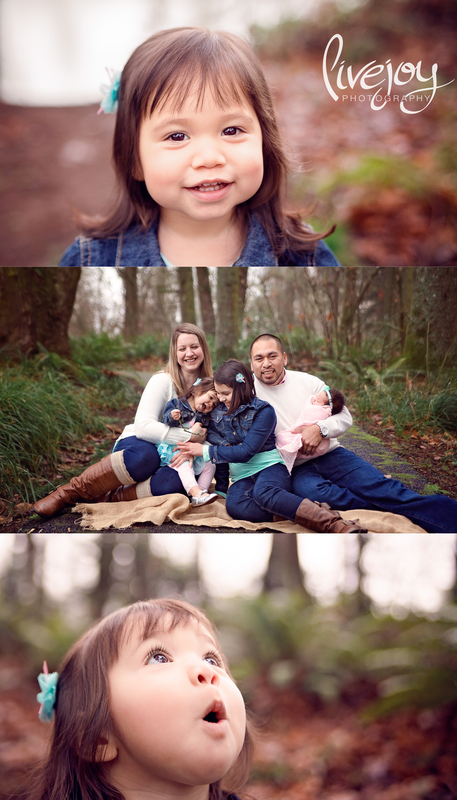 Such a fun session playing peek-a-boo and chasing little Sofia around :) She just is way too precious! This was my 3rd session with this family, and it makes me SO happy they found me! They are just so wonderful. Seriously I have the best clients ever.